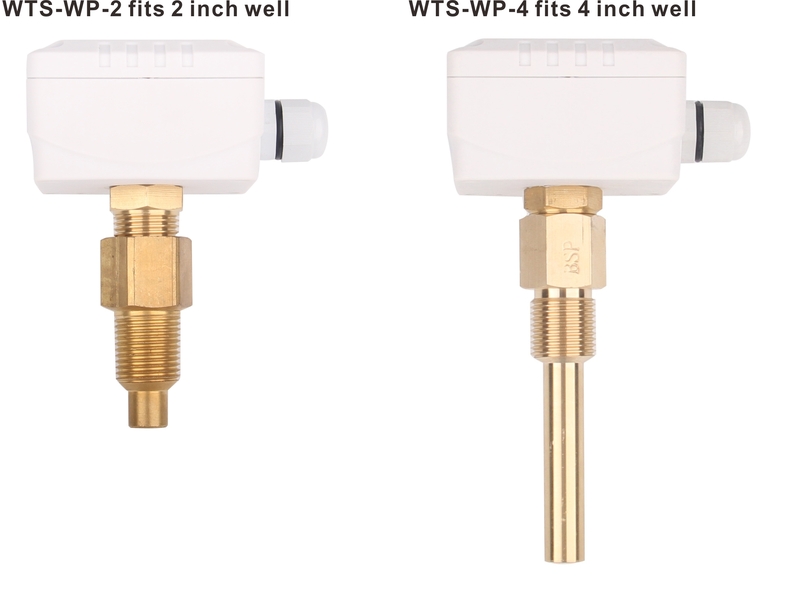 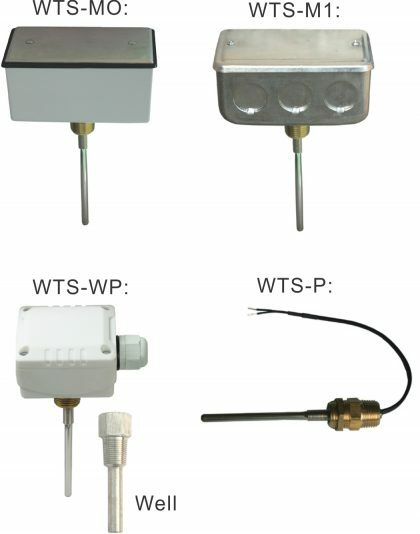 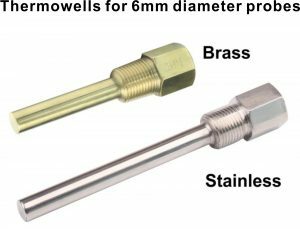 Water temperature sensors can be located at any suitable location in the system.A NPT female pipe fitting is welded into the pipe.These fittings are usually supplied and installed by the piping trade under direction of the controls trade.The fitting can be welded on any suitable section of pipe, in either a horizontal or vertical pipe section.Choose an orientation where any condensation will not drip into the electrical box, such as the top of a horizontal pipe section.Before threading the sensor into the well, deposit some thermal paste in the bottom of the well to improve heat conduction between the metal parts.The sensor is wired with two conductor 18 ga, unshielded twisted pair. 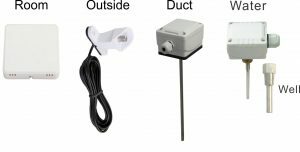 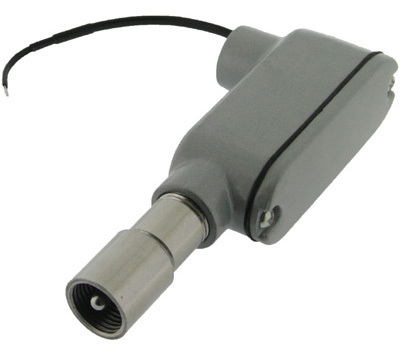 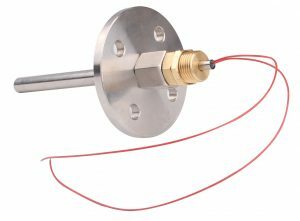 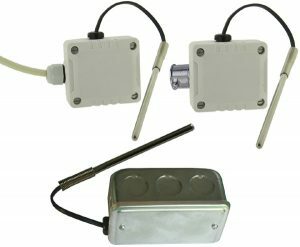 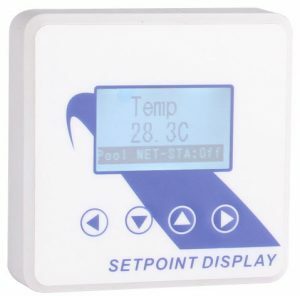 This sensor is used to measure the outside air temperature to allow the DDC system to coordinate the mechanical systems with actual building load conditions, enabling such strategies as free cooling, optimum start/stop, and supply temperature reset. 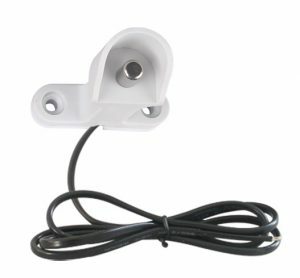 The housing is made from PVC and stainless steel fittings which shield the probe from direct sunlight. There are three thermistor based models, and one RTD version to provide compatibility with the majority of DDC systems.